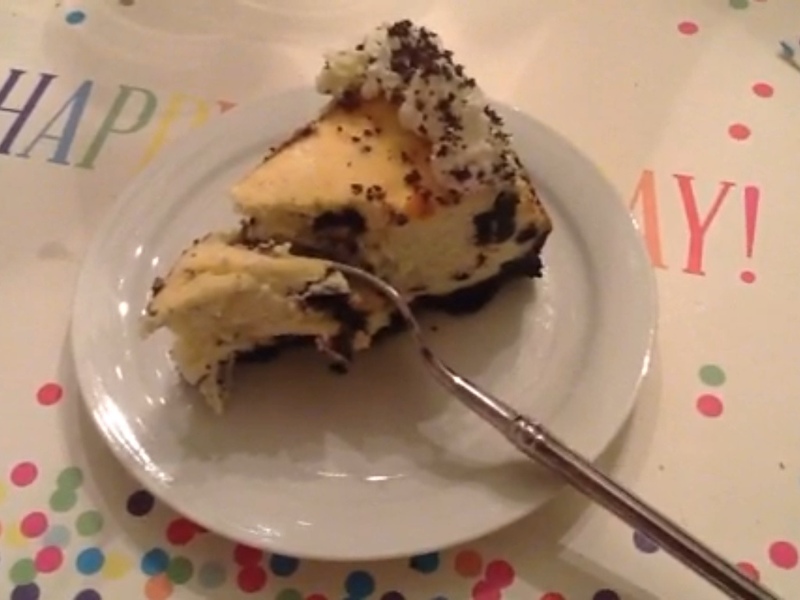 Birthday Cheesecake | I Am Not A Restaurant! What the birthday girl wants, the birthday girl almost gets. She asked for a Cheesecake Factory confection. I agreed to make something similar in style. And where better to start than on the website (Kraft) responsible for the cookies. Here's the link to the recipe. For an easy to put together crowd pleaser, I would definitely do it again. But I may experiment with cooking the cheesecake in a water bath to slow and gentle the cooking. That said, there was not a slice left. The topping is just stiff whip cream with more cookie crumbs. The candles are spirals! 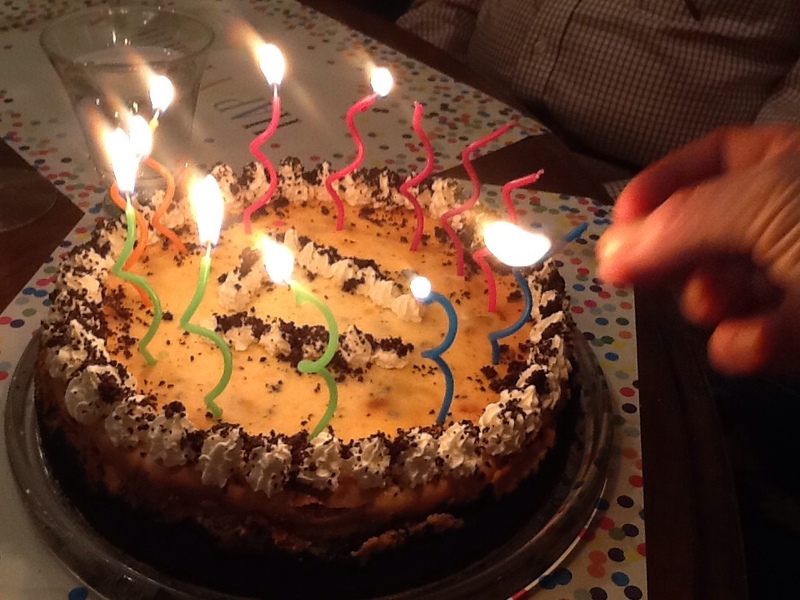 Mar18March 18, 2013 • By Betsy Karetnick • This entry was posted in Dessert, Dish of the Day, Kitchen Help, Recipes and tagged birthday, cheesecake, Kraft, Oreo cookies. Bookmark the permalink. love those candles! Such a fun cake.